Has there ever been a more luminous beauty onscreen than Grace Kelly? The woman just oozes elegance and glamour. From the moment we see her in Alfred Hitchcock’s masterpiece Rear Window, we’re immediately captivated. Grace Kelly would have been 86 today had she lived. The Philadelphia socialite turned Hollywood star turned Princess of Monaco became a fashion icon thanks to collaborations with Edith Head, Oleg Cassini, Helen Rose, and other designers but there’s no doubt that Kelly’s swan like beauty would propel her to heights of fame regardless. In fact, she already looked like royalty and probably didn’t need the official title. Grace’s style was classic. At the height of her film career in the ’50’s her style was one of the best representations of the era. Signature pieces included tortoiseshell sunglasses, streamlined gowns, slacks, full skirts, and of course, pearls. She looked good in anything. She even had a handbag named after her, the Kelly bag. A leather handbag she used in Alfred Hitchcock’s To Catch a Thief became a sensation. Since then, the Kelly bag, has become a status symbol. 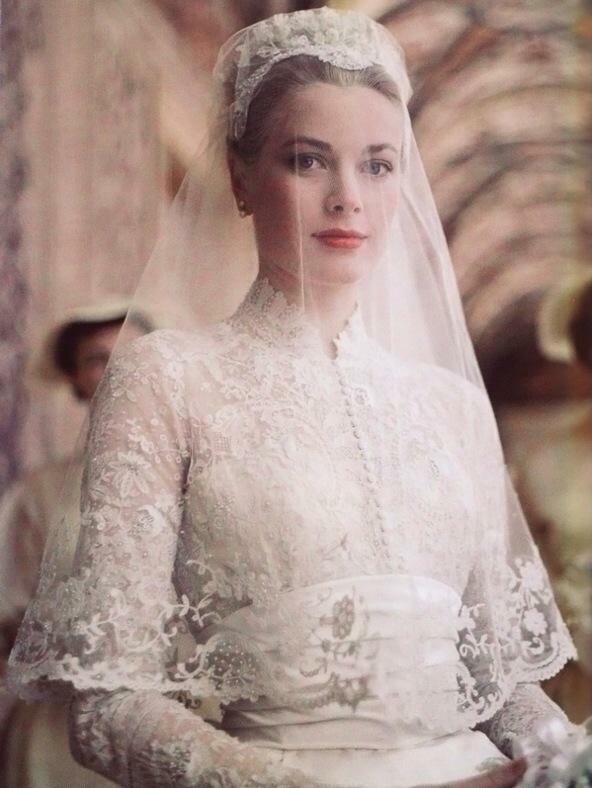 The wedding dress she wore when she married Prince Rainier III of Monaco in 1956 became an iconic piece. The lace dress was designed by MGM costume designer Helen Rose. It’s legacy continues to be felt today most recently when Kate Middleton married Prince William in 2011. 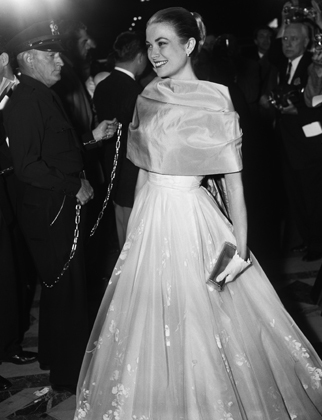 According to the book, Grace Kelly Style, it was a high-necked, long-sleeved gown with a fitted torso and billowing skirt. The dress materials included 25 yards of silk taffeta, one hundred yards of silk net, peau de soie, tulle and 125-year-old Brussels rose point lace. Behind the scenes fact: the famous film costume designer Edith Head expected to design Grace’s dress because the two were good friends, when Grace chose Rose, Head was not pleased. When we look back at Grace Kelly and her status of elegance, she’s often spoken about in the same breath as Audrey Hepburn. I love both women very much but to me, Grace had more of a vamp quality. In Grace’s films, her characters were tough, icy, and determined to get what they want whereas in many of Audrey’s films she was a Cinderella. Yet Grace could still retain subtle sexuality with wholesomeness. Both embody the elegance of women but different shades of womanhood.There’s a reason why these two are still #womangoals year after year and no one else comes close. 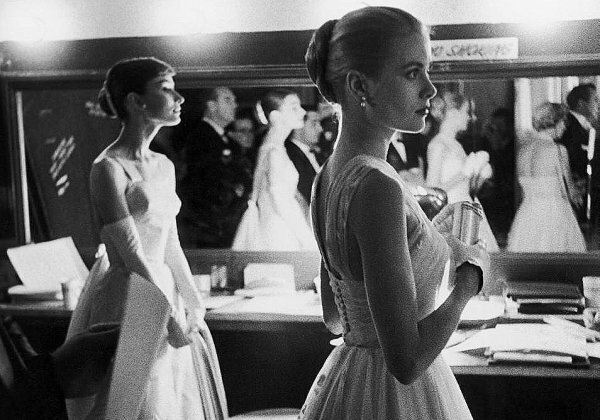 Audrey Hepburn and Grace Kelly backstage at the Academy Awards in 1956. Both were presenters that year. The relationship between these two is rather unclear. In another photo from this event, Audrey can be seen talking to her. Audrey was contracted to Paramount, Grace to MGM. They had some co-stars and directors in common and both had relationships with William Holden. If anyone has more details, I’d love to know. When Grace became Princess of Monaco and as the eras changed from 60’s, 70’s, and 80’s so did the fashions but Grace’s elegance remained. She continued to dress in the classic look she was famous for but her sunglasses would reflect the current time in which she lived. Her beauty never faded. Grace died tragically in a car accident in Monaco in 1982. She was just 52-years-old. Her daughters and granddaughters have carried on her style legacy. Princess Caroline and her daughter, Charlotte Casiraghi, have become style icons in their own right in Europe with endless comparisons to Grace. Her legacy is still being felt in Hollywood. There’s always a new Grace Kelly somewhere whether its Gwyneth Paltrow or January Jones’ character, Betty Draper, in Mad Men. She may have left us but her elegance will always remain. This post is a contribution to the Wonderful Grace Kelly Blogathon hosted by The Wonderful World of Cinema. Read all the entries here. Thanks for this celebration of the wonderful Grace Kelly. I adore her performance in “Rear Window” — it’s very underrated and probably deserved an Oscar nom for Best Supporting Actress (although she won Best Actress that year!). What a captivating reading! I just enjoyed it so much! Brilliant and well written! 🙂 “luminous beauty” is certainly the best way to describe Grace. I also love Audrey Hepburn and I would like to know more about this meeting with Grace Kelly at the Oscars. Right? To be a fly on that wall? I loved your post about Grace and Bill. How sad it is that he died on her birthday a year before she passed. An awful coincidence.